Mary’s Bar and Restaurant in Magherafelt offers a cosmopolitan social scene with the best of entertainment and decadent food, with a wealth of character and charm. This ambience combined with the acclaimed food it serves, provides guests with a splendid location to dine and relax. It features a wealth of character and charm in the form of cosy fireplaces, oak panelling and truly luxurious decor. Mary’s Bar is your LCN Bar of the Year 2015 & Pubs of Ulster Urban Pub of the Year 2015 offering casual dining, drinks & entertainment on a daily basis. The kitchen operated by Head Chef, James Graham, prides itself on delivering uncomplicated but exciting dishes that make the most of local produce when devising new menus in a modern way with daily specials. Whatever the occasion, be it a quiet romantic meal for two, a quick business lunch or a celebration. We would be delighted to welcome you into our opulent surroundings to enjoy some traditional Northern Irish cuisine. Mary’s Bar offers a wide range of entertainment on a weekly basis from relaxing acoustic sessions on a Thursday evening to our Big Band nights on Friday. Saturdays at Mary’s are for dinner, drinks & dancing with revellers arriving from all over the North. On Sunday we wind down with an acoustic session before a new week begins. Get on your dancing shoes, enjoy one of our signature cocktails & have a memorable night at Mary’s Bar leaving you wanting to return for more! Private Events & Functions are available designed to suit your requirements. For bookings & enquiries get in touch via 028 79 302616 or complete a contact form. ** Reminder ** Online bookings are strictly for the restaurant only, due to the volume of bookings we are unable to book tables for drinks. Arrived early had table for us . Had the meal deal for £13.95 , good value , food lovely & plenty of it . Couldn’t finish the dessert. Great food, lovely staff and felt relaxed. Excellent! Can i just say that the Serving Staff and Bar Staff at Mary's last night were all Absolutely Lovely.. And couldn't have been more helpful. They were genuinely so Lovely, helpful, Professional and genuine. We thoroughly enjoyed our food and drinks and our table was perfect. We will definitely be back again soon. On arrival we waiting and waited to be seated! Eventually we headed upstairs and only found our table due to the balloons left to decorate it! As we had to get ourselves to the table no staff came near us to serve us! After looking and looking at the staff they came and served us! The staff were then polite and friendly and couldn’t do enough for us! Food and atmosphere was good! The staff at the downstairs bar would need to stop talking to each other and assist the customers coming through The door! Fantastic bar and restaurant,we were here for our Xmas party and weren’t disappointed,a great credit to the whole team. Service , food, alcohol, cocktails, atmosphere was brilliant , the guy miming from 8/10 upstairs was a great laugh , surly you could get a local artist that can really sing ! We had a really great night ,Best French Martinis around ! 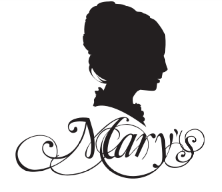 I love Mary's cosy atmosphere and the food was delicious with brilliant service. Dining area a little dark and chairs difficult to push in due th carpet/ Woden floor mix- wouldn’t go over the lip. Excellent service, food was great, all staff could not have did any more for us. We had a wonderful dinner for a birthday celebration on Sunday. Staff were polite and attentive, the service was great. Fantastic range of cocktails & great recommendations from Ciaran the bar man. Our good was fantastic - the Thai Sweet Curry & Fajitas were a favourite amongst the group. Would highly recommend & will be back soon. Service was fantastic. Staff are very accommodating and friendly. Our food was served quickly and everyone enjoyed their food. Great value for money, will definitely be recommending it for food. We come to visit Mary's bar with a large Hen Party group of 23. We took part in a cocktail class which was great fun. Hosted by Kieran and Matty (Two lovely guys) Followed then by dinner in the afternoon. This bar never disappoints,fantastic staff and beautiful ambience. We had a wondrful experience and will definitely return.